On Wednesday 7th March the FSB regional awards for the Yorkshire and Humber recognized the great and the good of small to medium sized business in our region at a luncheon event at the John Smiths Stadium in Huddersfield. 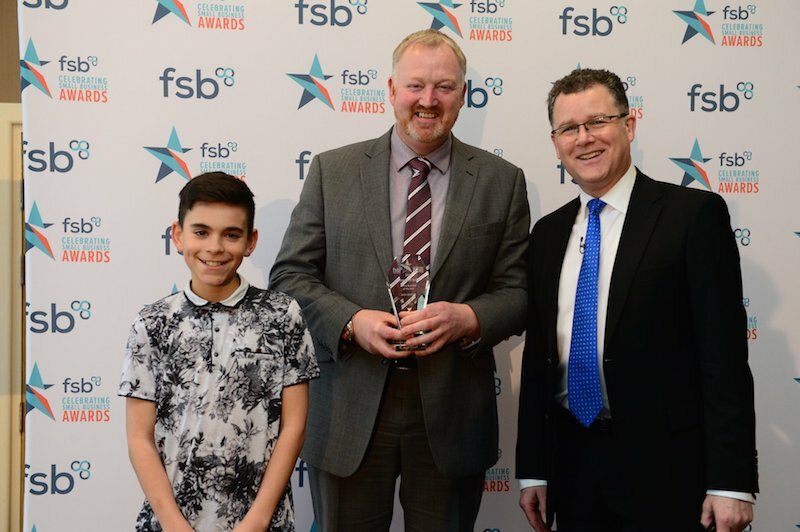 The FSB Awards showcase the best small businesses from the length and breadth of the UK, offering national recognition for those who have made the biggest impression over the last year. The event was attended by a variety of the region’s leading businesses who had been shortlisted across a range of categories. We were delighted to be awarded the Family Business of the Year Award, beating off tough competition from Masons Yorkshire Gin, Towndoor, Agenda Screening and Belle Lingerie to win the regional award. Our regional Manager, Craig Kelly, collected the award on behalf of the Company and made a sincere speech in acceptance, describing us as “A proper Yorkshire Business.”, a comment that went down particularly well with the audience and on social media channels! Our award was presented by 11 year Kaeden Bailey from Leeds based company Dreammee Teepees who was himself a winner of the Triumph in Adversity award.